It's your favorite challenge of them all, folks! It is ANYTHING GOES week over on the Simon Says Stamp Wednesday Challenge blog! This week we are featuring Lawn Fawn goodies. Lawn Fawn tends to hold a pretty strong 'King of Cute' status in the industry, but I wanted to take it a slightly different direction, so I made a non-cute Lawn Fawn card. WHAT?! Yup. And it was hard. Because I really like that adorable hamster AND the adorable alpaca. Lots. Like, lots and lots and lots kind of lots. SUCCESS! 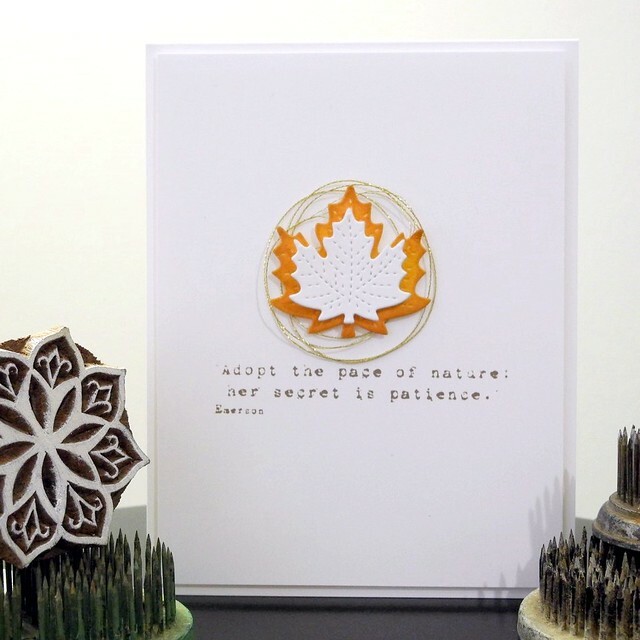 I created this pretty design using the absolutely gorgeous Lawn Fawn Small Stitched Leaves die set, some awesome distress inks, and an absolutely fabulous sentiment from the Simon Says Stamp One With Nature Stamp set. I adore that stamp set. If you don't have it just go buy it because I told you to. For reals. 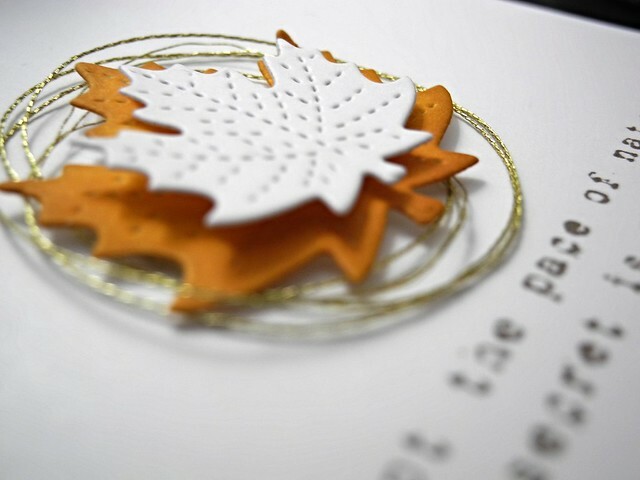 I used just a bit of gold string behind my layered leaves to add some texture and visual interest to the card. Ummm... you guys... this is one of THOSE cards. You know, the ones I love. Super lots. Yup. Totes one of those. BUT...I also love seeing YOUR work! Create something awesome and link it up to the Simon Says Stamp Wednesday Challenge blog for your chance to win a $50 Gift Voucher to the Simon Says Stamp Store! WHAT?! Yup. For reals, folks! For. Reals. All links to Simon Says Stamp in this post are affiliate links. Your support is always appreciated! LOVE this CAS design, Jennifer! The yellow and gold are so perfect together! Love this clean and elegant card! I love it, Jennifer! Subdued and elegant! I luv this Jingle, those leaves are stunning....I may need them now....teehehe...hope you have a fun weekend! Perfectly CAS! Love these leaves! Gorgeous. Elegant. Stunning. Love it!! Your card is beautiful! Nice clean lines and crisp edges. Your addition of texture and depth just makes it.